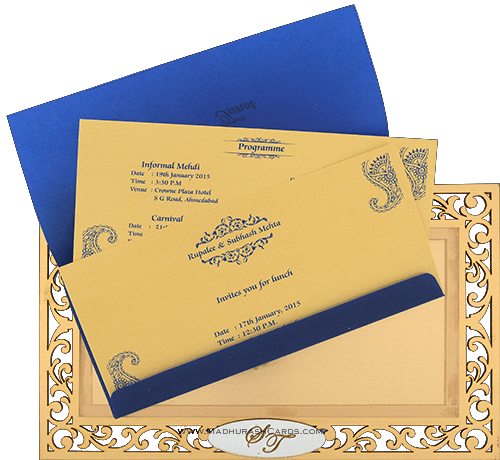 Size : 9.8" x 5.9"
One of the fresh Madhurash Luxurious invitation cards. 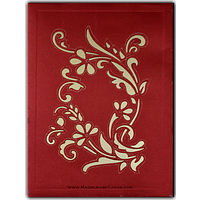 The rectangular framed Wedding invitation has a beautifully laser cut floral design on its periphery, designer emblem in bottom center adorned with a rich insignia of the couple's initials. 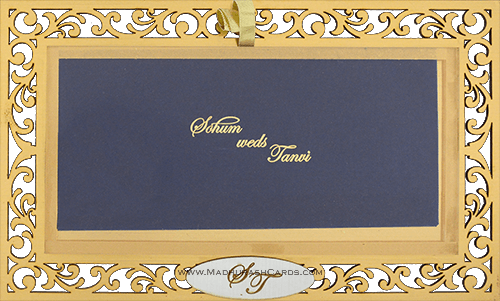 The center part is box-framed with acrylic pocket to accommodate the main invitation. 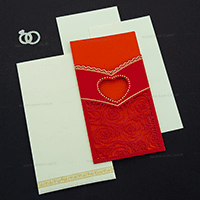 The main folded card is made up of rich looking vellum paper on which bridegroom's name is pasted in EP to give a more elegant look. 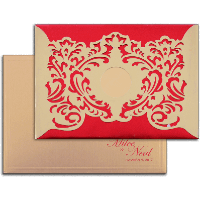 The best part of this invitation card is it can be further used as a photo frame which will also make your invitation to last long in your guest’s memory. 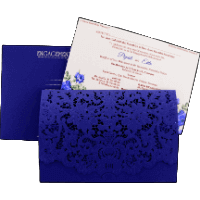 Good night Ajit, congratulations for the wonderful invitation, which arrived in perfect condition, in which you exceeded my expectations, living up to what is called in India: "King of invitations" congratulations for his "work art ", being a person in the correct order. Thank you.